KARACHI: Hundreds of youngsters are getting disabled every year in Pakistan at the hands of rare neurological disorder, MS due to lack of diagnostic and treatment facilities at district hospitals in the country. Only five to 10 thousands persons have been diagnosed so far with the disease, of which hardly 10 percent are getting its treatment. “There are only 50 hospitals in entire Pakistan, both in the public and the private sector, where qualified neurologists are available and can diagnose neurological diseases like Multiple Sclerosis. 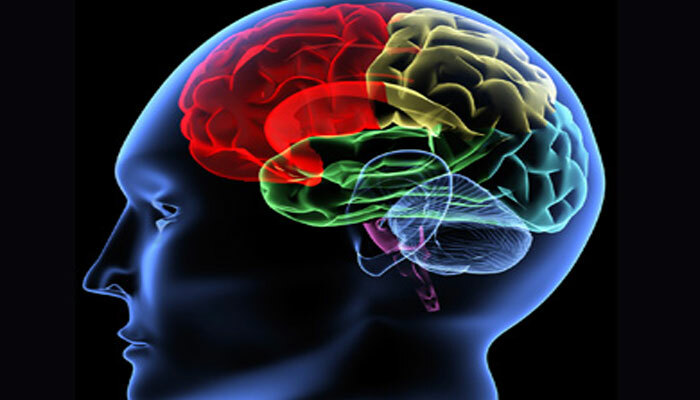 We urge the government to appoint at least one trained and qualified neurologist at every district and teaching hospital in the country,” Neurology Awareness and Research Foundation (NARF) President Dr Muhammad Wasey told a news conference on Tuesday. Multiple Sclerosis is an autoimmune (disease caused by body’s own immune system) disease, a neurological disorder attacks the central nervous system and can cause significant nerve damage. Multiple Sclerosis (MS) Day 2016 is being observed on25th May all over the world with the theme “Independence” and the objective of observing this day is to create awareness about the disorder and also to encourage people to live a normal life without any worries. On the occasion, Neurology Awareness and Research Foundation (NARF) launched a DVD containing awareness material and messages on neurological disorder, urging both print and electronic media to run the messages so that people could approach trained and qualified neurologists and physicians in case of symptoms of neurological disorder. Dr Muhammad Wasey, who is a prominent neurologist in the country, claimed that hardly 10 percent of the patients diagnosed with multiple sclerosis were being treated in Pakistan as treatment therapy was immensely costly in the country and beyond the reach of common people. “Treatment cost ranges between 50,000 to 100,000 rupees per month, which is very costly treatment” he informed, adding that with the use of medicines, MS patient could live a normal life. Speaking about the symptoms of MS, Dr Wasey said symptoms vary a great deal from one patient to another – no two people have the same combination of symptoms. “The most common early symptoms of MS are fatigue, vision problems, tingling and numbness, vertigo and dizziness, muscle weakness and spasms, problems with balance and co-ordination”, he informed, adding that less common symptoms include speech and swallowing problems, cognitive dysfunction difficulty with walking, bladder and bowel dysfunction, sexual dysfunction, mood swings and depression. He maintained that causes of multiple sclerosis are not well understood. Researchers believe that the body’s immune system begins to attack its own nervous system, specifically the myelin, a fatty material that covers and insulates the nerve cells in the central nervous system. It is estimated that around 250,000 Pakistanis are suffering from the neurological disorder that is significantly lower than countries of middle and East Asia, Europe or even the neighbouring countries. In Pakistan, most of MS patients are found in the Northern Areas and that is probably due to extreme weather conditions and environmental factors, Dr Wasey added. Another neurologist and General Secretary of NARF Dr Abdul Malik said their society was trying to increase awareness about neurological disorders among common people and so they had produced four DVDs containing informative material on neurological disorders.